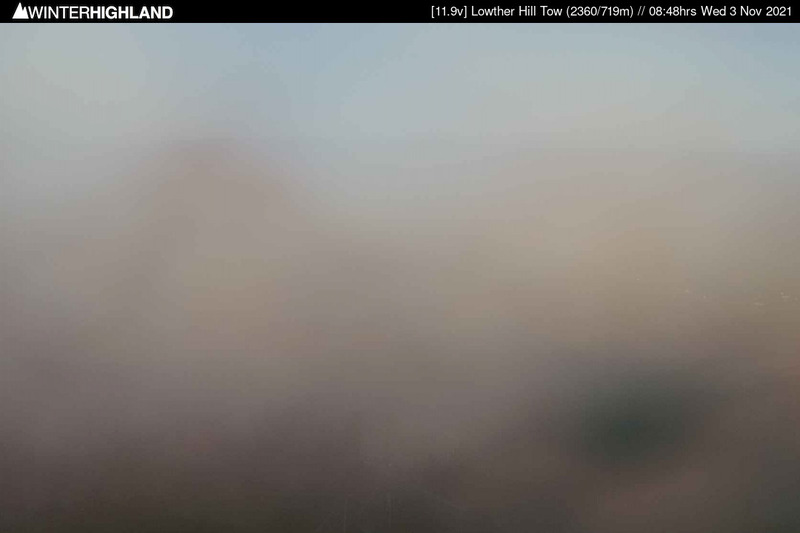 Lowther Hills is a membership-based ski area. You must be a Lowther Hills Ski Club member in order to use the club's facilities. Please note that only Lowther Hills Ski Club members receive updated snow conditions alerts and ski lift opening times. Join here. 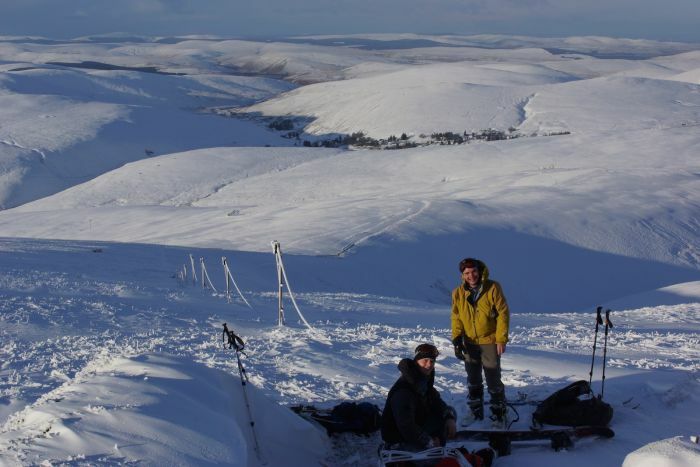 The weather forecast expects snow this weekend on the Lowther Hills. We'll assess conditions tomorrow morning. As always, members will receive an update by email. 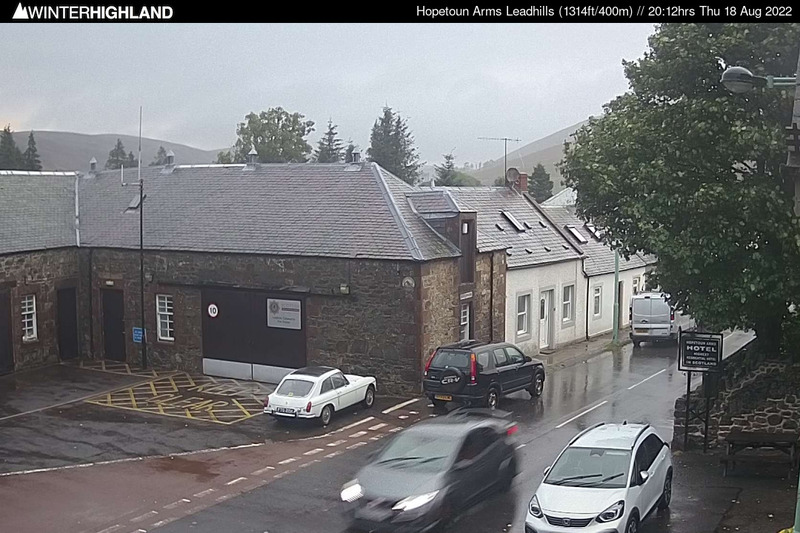 The Leadhills nursery slope is now closed until more snow arrives. 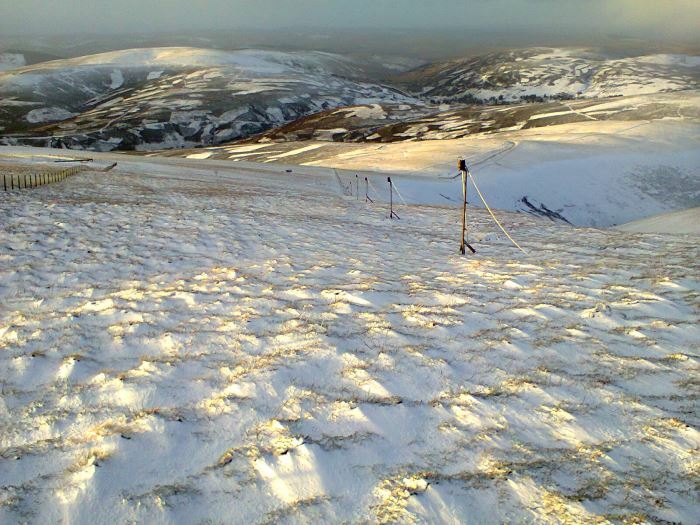 Our volunteers' work has now shifted to Lowther Hill and we expect to open Lowther for skiing soon. Ski Club members will receive an update by email as soon as we are ready to open a tow there. We are planning to open the nursery slope this weekend if we have enough volunteers available (if you can help, please get in touch!). Ski Club members will receive an update by email. Today we ran one of our mightly portable tows on Lowther Hill. We had a thaw today but we may still be able to run a tow this weekend. Ski Club members will receive an update by email on Saturday morning. 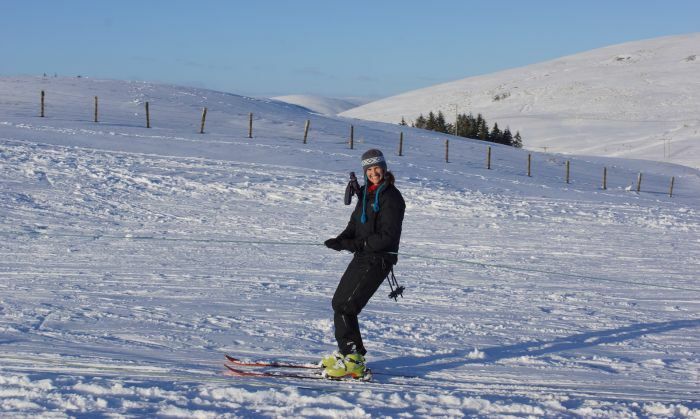 Fantastic weekend at the nursery area in Leadhills -and glorious weather on Sunday 18th- when for the first time this season we had to open a second ski tow. It looks like we may have the snow and enough volunteers to open the nursery slope. Ski Club members will receive an update by email on Friday night. A big thanks to everybody who turned up at our first day of skiing at the Leadhills nursery area. Snow and strong winds forecast for the weekend. Still unclear whether we'll get enough snow to open the nursery slope on Sunday. Ski Club members will receive an update by email on Saturday night if we think we might be able to open on Sunday. The hill has a dusting of snow but not enough to operate the tows. We are planning to open the nursery slope this weekend if we get enough snow. Ski Club members will receive an update by email on Friday. The snow fallen last week has thawed, therefore we won't open the nursery area this weekend. 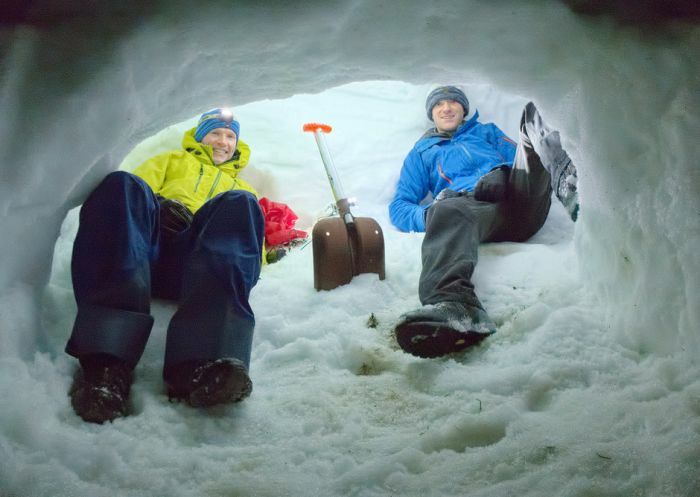 However, Lowther Hills Ski Club member Ross Dolder, with friends Jamie Johnston and Craig Cameron enjoyed the snow above Leadhills to practise some winter skills including transceiver searches for avalanche rescue, and snow-hole making for emergency shelters. We decided not to open the nursery area yet as the core volunteers were still focused in the construction of the Lowther Hill tow as well as a number of operational matters. 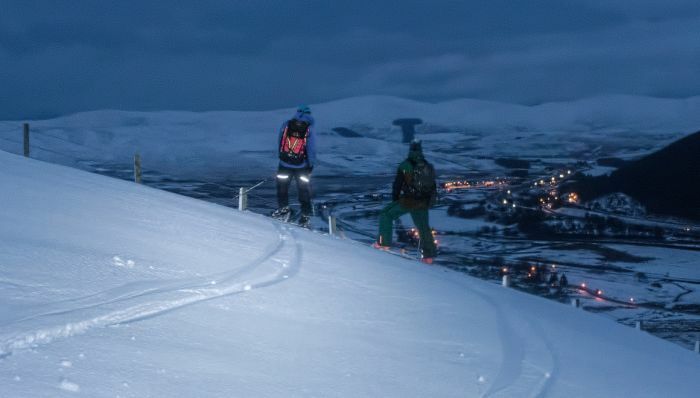 In the meantime, Ross Dolder, Pete Coulson, Craig Cameron and Jamie Adcock went for a 10 mile ski tour from Wanlockhead to Elvanfoot to give us a flavour of the Lowther Hills' backcountry.